Why does the documentation omit even the briefest description of the contents of leaves 208a–250b? Frequently biblical manuscripts include other texts of extreme scholarly interest for both NT and many other fields—even when leaving aside the significance of these other texts for the reception and reading of the biblical texts in the manuscript. Thus, it seems short-sighted not to (at least briefly) document these contents as well. Jeremiah, there’s a very simple reason: time. The Kurzgefasste Liste gives one LINE of information on each manuscript; CSNTM provides 2-4 pages. But because we are racing against the clock to prepare the manuscripts for digitization, we cannot invest more time than we are already doing. 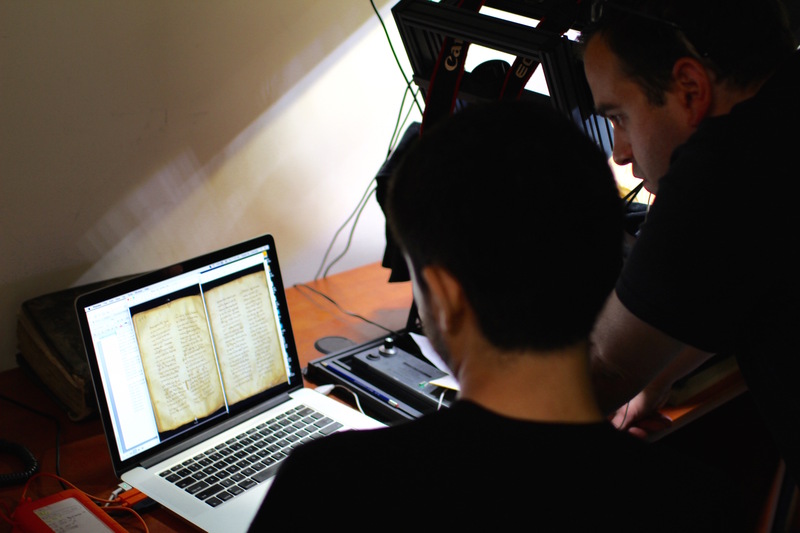 We are on a budget, and each of the 300+ NT manuscripts at the National Library must be prepped before it can be digitized. Of course this would be valuable information, but with the limited time I have to prepare each manuscript at least letting scholars know that something else besides biblical text is in a manuscript, and that complete archival images of each manuscript will be produced is a good compromise. As it is, it will take me nearly 20 weeks to prepare all these manuscripts for digitization.